The Charter Institute campus in Farmington hosted graduation ceremonies at the McGee Park Convention Center in November, for 50 students earning Medical Assistant certificates. Charter College Chancellor Jill James was the keynote speaker and Campus Manager Tammy Wilhelm presented awards to the students graduating with honors. Another speaker was Johnson Harrison Sr. Ta’chii’nii’ (Red-Running-Into-The-Water-Clan), a traditional medicine man, who spoke in Navajo. He is originally from Chaco Canyon and currently resides in Dzith-Na-O-Dith-Hle. Kodie Fitzgerald earned her Medical Assistant (MA) certificate in November and is now working at Mercy Regional Medical Center as an MA. She says her experience at Charter Institute helped prepare her for the job she has now, including earning national certification through NCCT (National Center for Competency Testing). 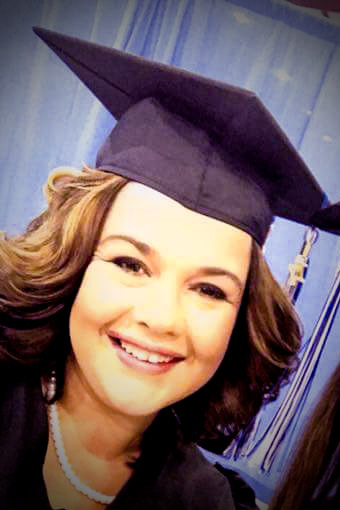 Fitzgerald has plans to continue her education and eventually become an RN, but the mother of three decided it was time to take a short break from education while she dives into her career as an MA. Charter Institute, a division of Charter College, provides practical curriculum, bringing graduates to the employment marketplace as quickly as possible with the skill sets and experience demanded by employers in each area of emphasis. Each of the schools are nationally accredited and students who qualify are eligible to participate in traditional federal financial aid grant and loan programs. For more information, visit www.chartercollege.edu/farmington-nm.